A new report has been published by the OECD as part of the Value for Government series which aims to identify new developments in public sector governance that lead to better value for money. The title of the report expresses an important feature of developments in public administration that have come to the fore in recent years: a change in the direction of a simpler, more integrated, more compact government as a reaction to unexpected perverse effects of the “New Public Management” era of administrative reforms. The report highlights reforms undertaken in 13 countries (Australia, Austria, Canada, Denmark, Finland, France, Ireland, the Netherlands, New Zealand, Norway, Spain, Sweden, UK). Most of these countries have in recent years implemented reforms aimed at various forms of ex ante analysis, including Regulatory Impact Analysis (RIA). However, the approach to these reforms has been often fragmented leading to overlapping procedures and inefficient organizational structures. In addition, the compliance with these procedures has not always been ensured, often because the urgency of policy initiatives makes it impossible to apply these procedures according to the standards that were set for them. It is therefore recommended by the OECD that countries focus on simplifying procedures for ex ante analysis as well as concentrating oversight in a single unit. The latter should also manage a one-off ex post regulatory review focused on evaluating the cumulative impact of regulatory stock within a limited period of some five years. As for independent agencies, the domain is in need of reform in many countries. There is concern in regard to agencies’ operational costs which have increased much faster than in core ministries. This arises from the unsystematic attribution of legal status and legal personality based on historical developments. Against this background, governments have taken new initiatives to improve control over operational costs of independent agencies such as the application of the same regime of operational management to all public institutions and the use of stricter criteria for the establishment of independent agencies. OECD. 2015. 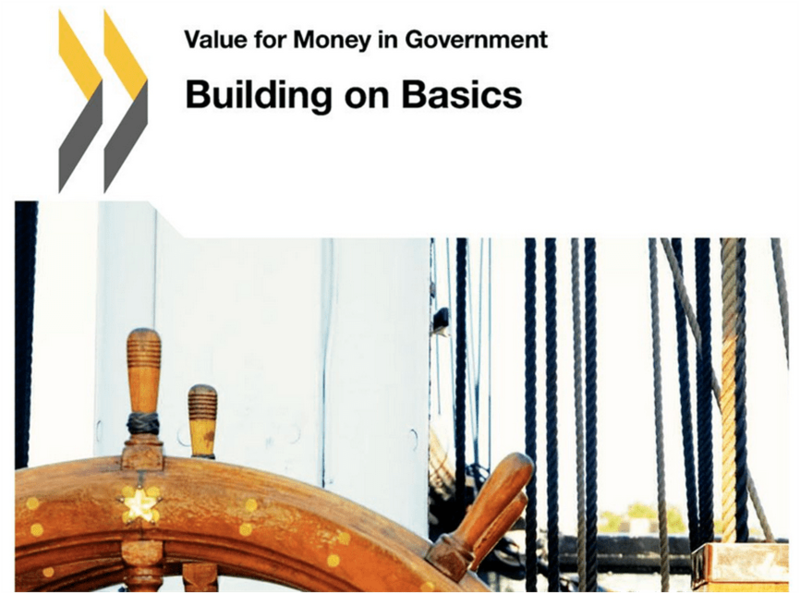 Building on Basics, Value for Money in Government Series. Paris: OECD Publishing.